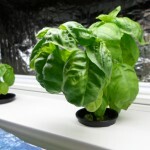 experiment with various input factors such as ph, temperature, lighting, etc. 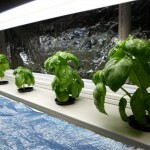 The following photos show the production of basil and lettuce in the indoor greenhouse system. 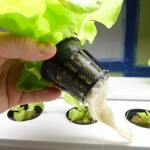 Summary: This system is effective at growing lettuces, leafy greens and herbs such as basil. 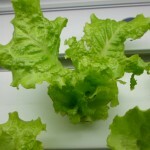 Lettuce especially shows rapid growth in the system; e.g., 1-2 inches per day, thus replenishing itself on a weekly basis. 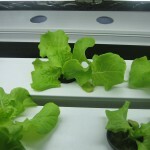 Energy is the primary cost, along with seed, nutrients, rockwool, and water conditioners (e.g., PhUP, PhDOWN). 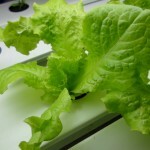 Heating and cooling is a sunk cost and folded into the overall costs for the building.